Russia’s ambassador to the UK hit out at planned sanctions on Moscow today, saying that they would be ‘illegal, unreasonable and counter productive’. He said that sanctions would not serve the interests of he countries concerned, including the US, and would "trigger a long anticipated endgame of the present global crisis". Speaking at a press conference in London on Friday, Alexander Yakovenko told the media that imposing sanctions would send the “wrong message to Kiev’s continued “punitive operation” in Eastern Ukraine. He said there was ‘no evidence that Russia supplied weapons to separatists, adding that Ukraine and the West’s suggestions on who was responsible for the crash of flight MH17 ‘don’t hold water’. "Needless to say that we will consider any further sanctions against us, and the measure of political pressure is clear evidence that our western partners cannot substantiate their allegations and are eager to engage in covering up the true causes of the MH17 crash" he added. He criticised the initial narrative purported by the West surrounding MH17 as ‘inconsistent’ and ‘not compelling’, claiming that the proofs being used by Kiev and Washington are "based on social media reports", much of which had been disproved. He added that while American intelligence had satellite images of the missile launch, it could only say that the rockets were fired from Eastern Ukraine "under conditions created by Russia". Reaffirming that Russia would not ‘prejudge’ the outcome of the ongoing international inquiry into MH17, Yakovenko said that there were ‘too many questions’ surrounding the events of the tragedy, including the actions of Ukranian air traffic control and the said movement of Ukranian war planes in the area of the crash. He encouraged the international community to secure the area of the crash under the UN auspices, so that experts could conduct their work, hoping that it could help in reaching a political settlement in Ukraine, and "overcoming the artificially created tension between Russia and the West". 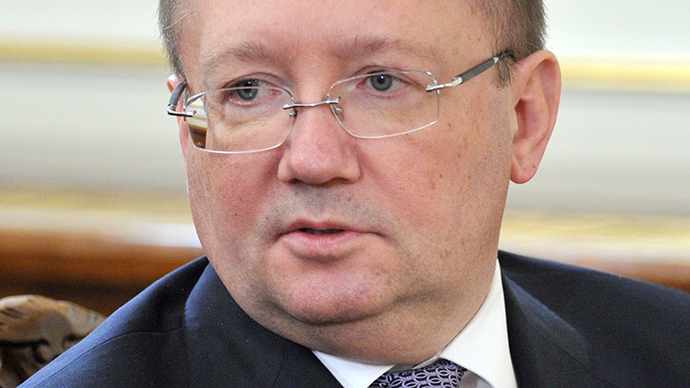 Commenting on the public inquiry surrounding the death of Alexander Litvinenko , announced by the UK government on Tuesday, the Ambassador said the British authorities should provide the evidence they possesses , and that Russia would not accept any judgement made in a secret court. Asked about the prospect of sanctions being imposed on Russian businessmen in London, including businessman Roman Abromovich, he said it was the 'wrong way of doing things' but it was up to the British government to decide whether it wanted to impose such measures on Russians living in the UK.